A beautiful contemporary tactile hare ornament in a sitting pose made from cold cast bronze. 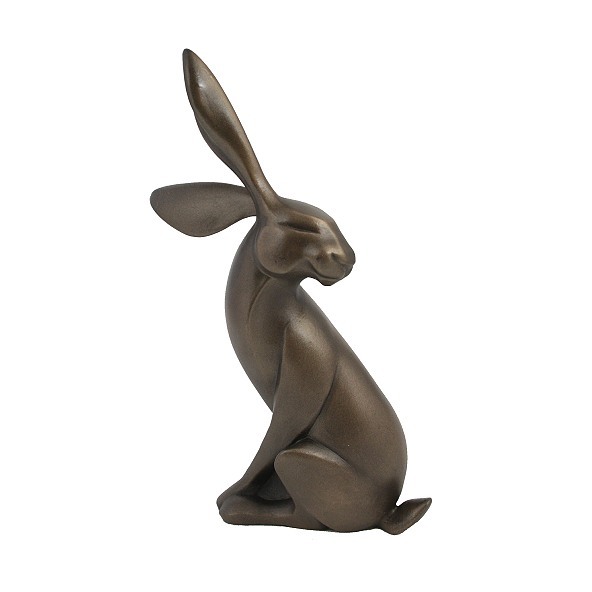 This sleek hare with it's long ears, is an attractive sculpture for any room in the house. It is supplied in very smart packaging and therefore would also be appropriate as a gift. One of the items in our collectable gifts range.